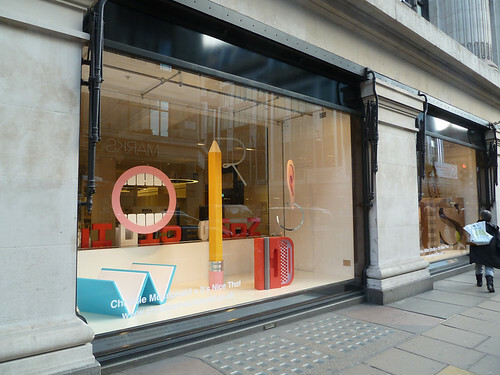 words’ is the theme of a new store-wide initiative that centres on four dramatic window displays art-directed by It’s Nice That, as well as a word-obsessed concept store. Running from 12 January until 1 March, a busy timetable of events has been planned – from handwriting analysis sessions and Latin masterclasses to literary discussions and storytelling workshops. 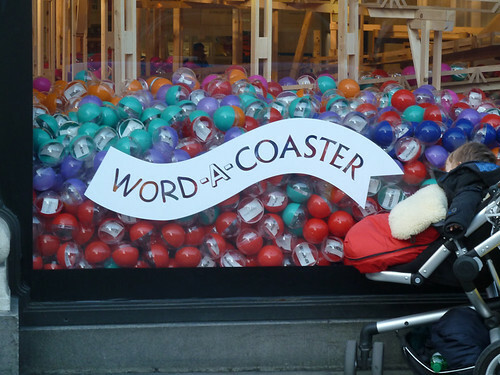 ‘The Word-A-Coaster’ (above), produced in collaboration with Stewdio, has taken over the the store’s corner window at Oxford Street and Orchard Street. 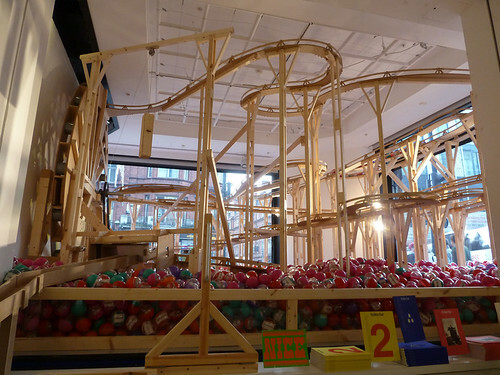 Participants pull a lever to activate a giant rollercoaster, and duly receive a transparent plastic ball from a sea of 30,000. 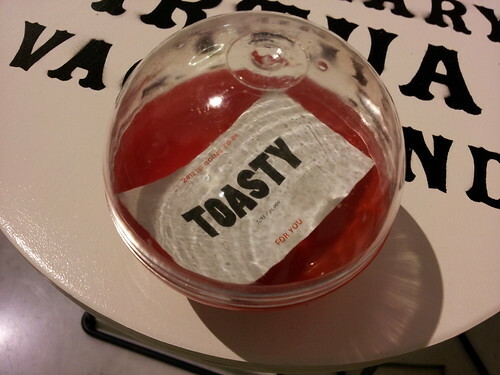 Each contains a personalised New Year fortune reading (digitally printed by Pureprint) centred around a bold adjective set in one of five typefaces. 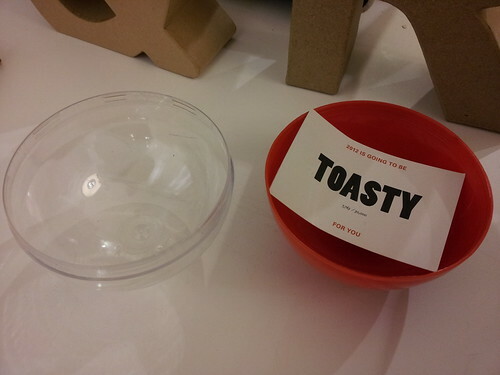 According to my card (7763/30,000), 2012 is going to be ‘toasty’ (below). 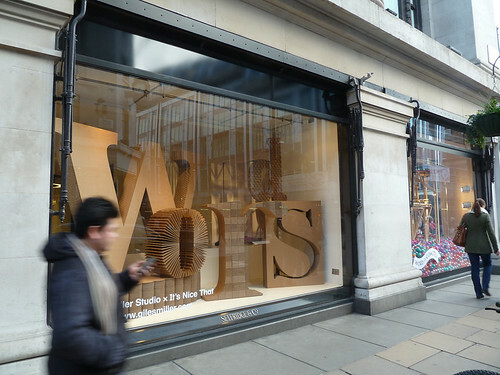 Three additional windows running along the western side of the department store feature dramatic word sculptures, produced by designers in collaboration with It’s Nice That: a scaffold ‘words’ (Ben Long, top), a cardboard ‘words’ (Giles Miller, above), and a ‘words’ built from oversized objects (Chrissie Macdonald, below). 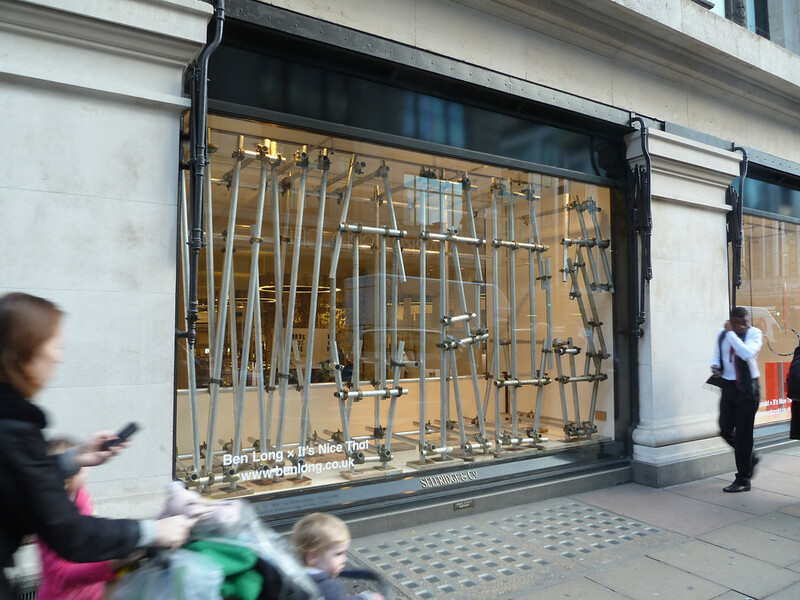 And what does a concept store based on words actually stock? 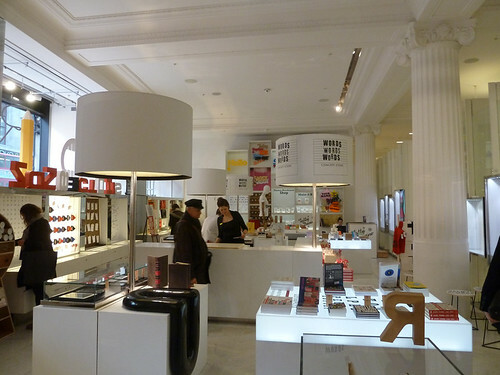 Amongst the eclectic inventory are iPads and eReaders, totebags and tea-towels, jewellery constructed from Scrabble pieces, Tinned Fear from the Ministry of Stories, books (from Eric Gill: The Inscriptions to The Redstone Book of the Eye), and back issues of It’s Nice That. 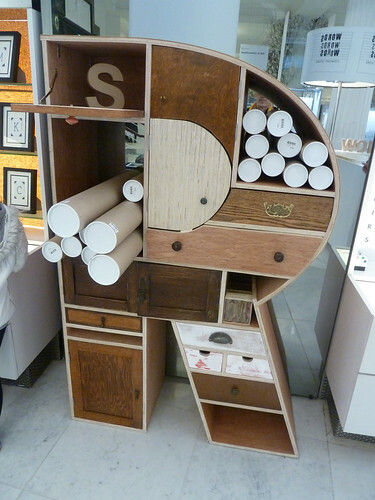 Plus an ‘R’ shaped cabinet (below), designed by LCC students Jack R. Gardiner & Netta Peltola.